It felt good to be in the woods this morning. For most of the summer, we leave it to the ticks and chiggers, and content ourselves with being somewhat civilized, taking morning walks in the neighborhood. But coming back to the familiar trail in the woods was like slipping into a favorite flannel shirt, soft and comfortable. The fragrance of wild mint greeted us as we set out, strong underfoot. Don cleared a fallen tree from the path, and cedar incense filled the air. We walked through wild oats, grown up in the path, those wind chimes of the woods, and sneeze weed (aptly named) that clustered along the way like bright spots of sunshine. Barley tagged along until it was clear that we were headed home, then, like an arrow released from the bow, he shot for home, where he waited for our return. Such very lovely delicate images to illustrate your walk today. I'd forgotten about the ticks preventing relaxed wood walks in summer.The sneezeweed is a valued garden plant over here. It looks magical when I enlarge your picture. The photos are beautiful ...and yes, life is good! 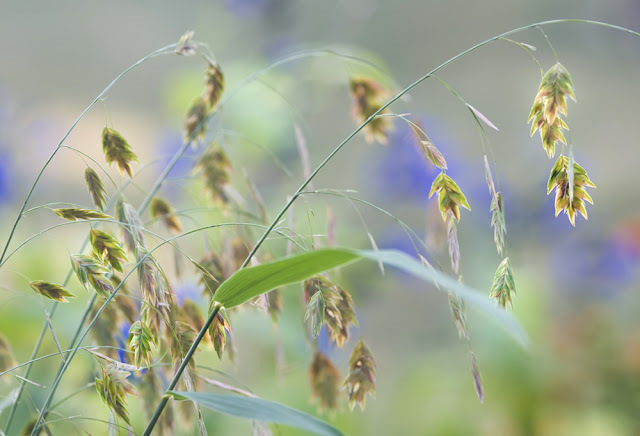 The Wild Oats photo looks as if you set the photo against watercolor. I love the effect. 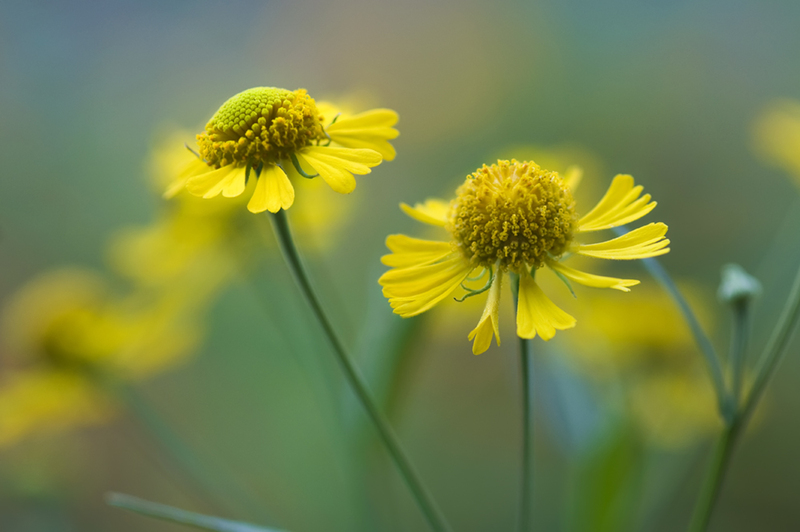 Even the sneezeweed is gorgeous! Barley's adorable! You're right--Life is good! What beautiful photos. And it's so right - a happy dog definitely says, "life is good". What lovely photos to remember your walk today! 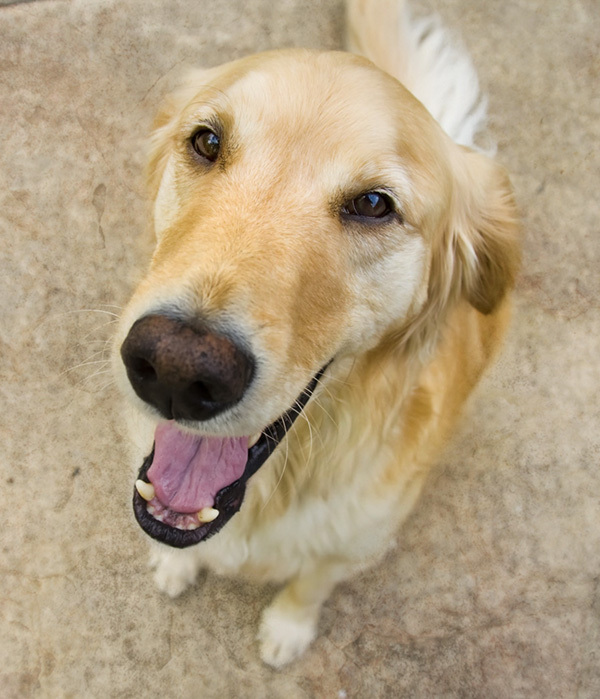 And what could be better than a smiling Golden to say that life is good? yes, wonderful post, lovely photo's! just wow wow wow !!!! It looks like Barley is smiling. Absolutely fabulous images! They are so ethereal in focus and color! WOW WOW WOW. Love your captures. Simply amazing. 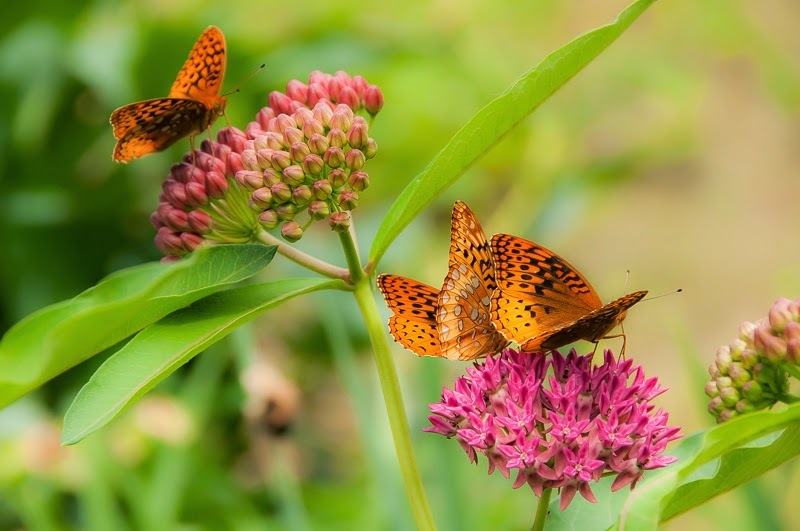 Beautiful images from your walk in the woods! Barley's a cutie! A beautiful place for a walk. Yep, life is good! These are beautiful Connie, and I just love that shot of Barley! Your photo are beautiful. I especially love the lighting and the soft focus. I like the first photo very much.